Tired of trying to decide on a place to go to lunch in downtown Las Vegas? The folks at NeONBRAND will help you worry no more. 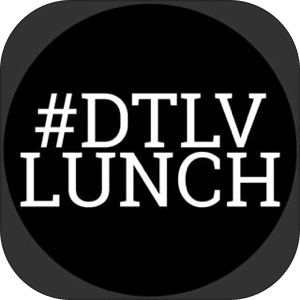 They recently launched DTLV Lunch, an app with a directory of the top restaurants in downtown Las Vegas along with a quick “Choose For Me” button to help make the selection even easier. One day, the NeONBRAND team was headed out to lunch and one team member mentioned an Excel sheet that his brother used to use at work. The NeONBRAND team is always tinkering with fun ideas, trying to come up with ways to make their own lives better and hopefully a few other lives better along the way. Each day, NeONBRAND brings online presences to life through web design, search engine optimization, social media and video marketing. 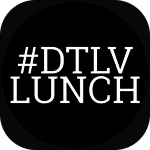 Eliason says the DTLV Lunch app was actually used as a pilot on something bigger the team is trying out. 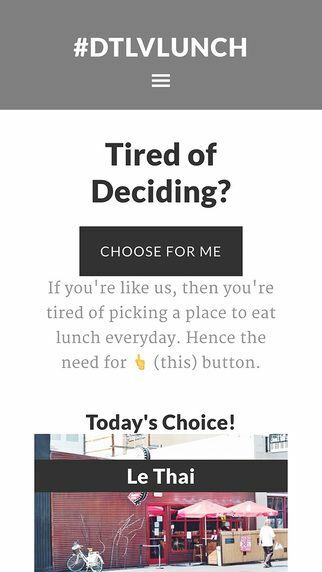 Since the app just launched this month, the NeONBRAND team is looking for feedback and ideas on how to make it better. Come play around with the app here!